Why Invest in Inbound Marketing For Healthcare Organizations? On the rare occasion, I am watching actual live TV and not Netflix, Hulu, Amazon Video, or any of the other countless streaming services available, I definitely use the commercial breaks as a time to get more snacks. I’m not alone in this, in fact, 86% of people skip TV ads. Radio also doesn’t have the impact it once did. Not to be THAT millennial, but I honestly don’t remember the last time I listened to the radio. Digital music services and satellite radio make it easy for listeners to avoid advertisements. As of January 2019, there were over 200 million active users on Spotify alone. Speaking of millennials, 84% of 25-34 year olds have left a website because of intrusive or annoying advertising. Pop-ups were never cool! So clearly outbound tactics are just not as effective in today’s digital age, but as a marketer, you still need to reach your customers. Good news you still can, cue inbound marketing. The beauty of inbound marketing is that it allows potential customers to research on their own time and find your organization. The Internet and social media have opened up a whole new way to communicate with your customers and spread the word about your organization that feels so much more natural and conversational. Social networks are the biggest source of inspiration for consumer purchases with 37% of consumers finding purchase inspiration through the channel. Social media is the most relevant advertising channel for 50% of Gen Z and 42% of millennials. What Else Can Inbound Marketing Do For Healthcare? 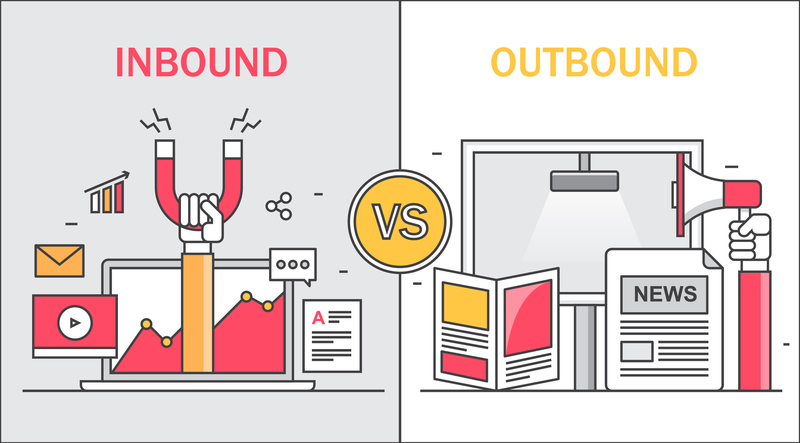 Inbound Marketing will help your organization attract visitors, convert them to leads, and close customer sales. Through content such as blog posts, eBooks, and videos you can educate your prospects and answer their questions without coming off as “pushy” or “salesy”. Inbound marketing turns the traffic your page is receiving into leads. If you need help starting or improving your inbound marketing strategy, the experienced healthcare marketing team at KBK Communications is ready to help you attract more vistors and convert more leads into satisfied customers. Click here to contact us online.